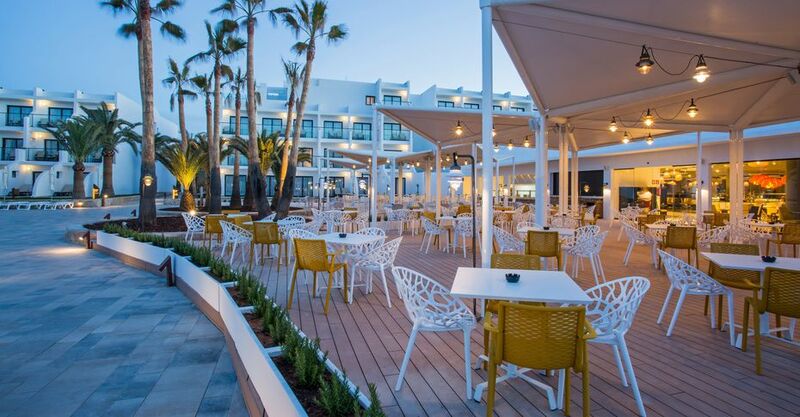 Playa d'en Bossa's beachfront is the setting for Grand Palladium White Island Resort & Spa; the perfect place for both relaxation and a taste of Ibiza nightlife. 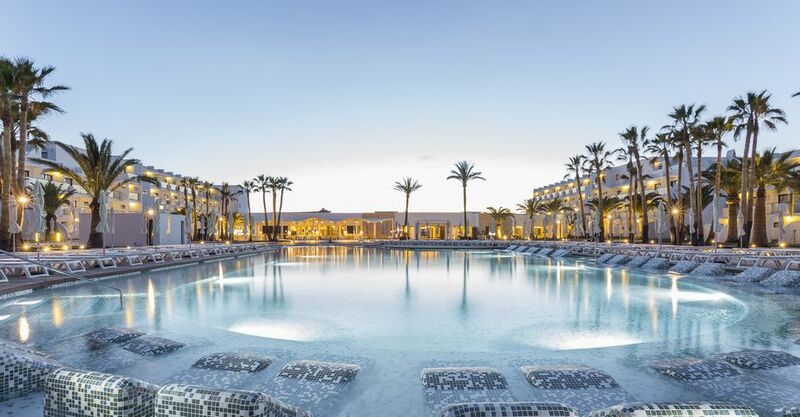 This stylish all inclusive hotel resort boasts a wide range of leisure activities, delicious dining options, and chic accommodation to make your holiday the best it can be. Start your morning with a dip in the outdoor pool and then relax on the Balinese-style beds. 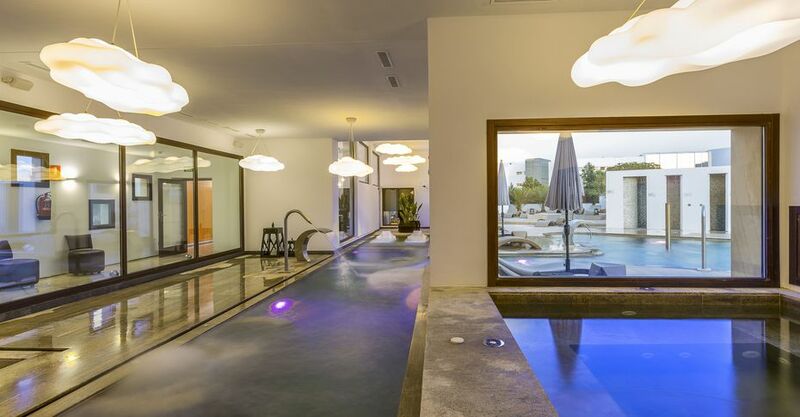 Afterwards, treat yourself to an indulgent massage at the spa or work up a sweat at the fitness centre. There are also hands-on culinary and cocktail workshops to get involved with during the day or sample some tasty local grapes with a wine tasting experience. 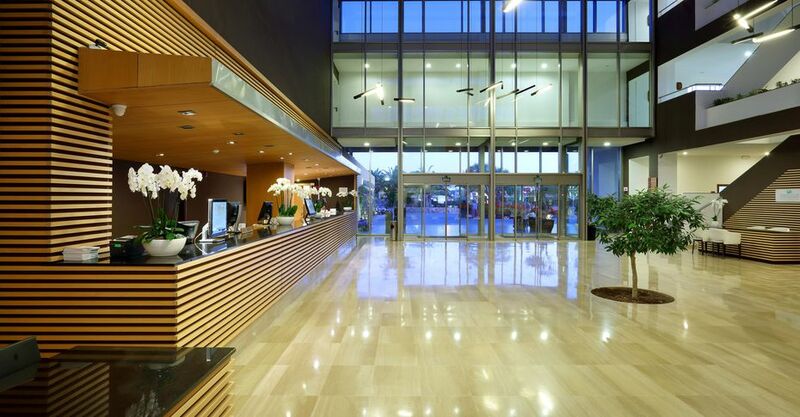 The guest accommodation is modern, spacious, and fully-equipped with a range of amenities to enhance your stay. 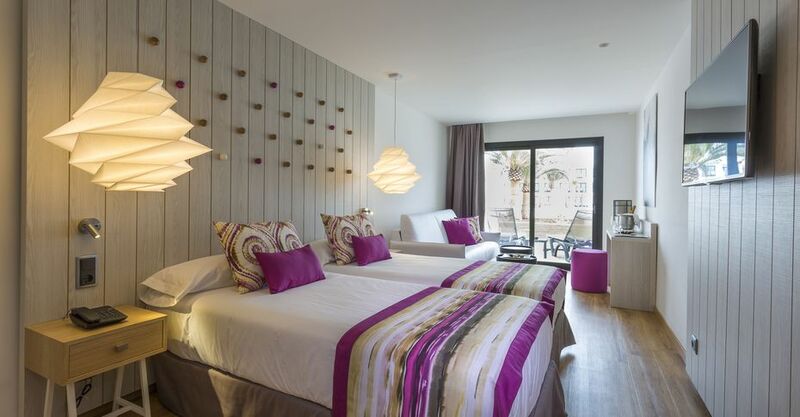 Slip on your complimentary bathrobe and slippers to wind down or relax fully with a refreshing drink from the minibar or a hot drink made using the coffee/tea making facilities. 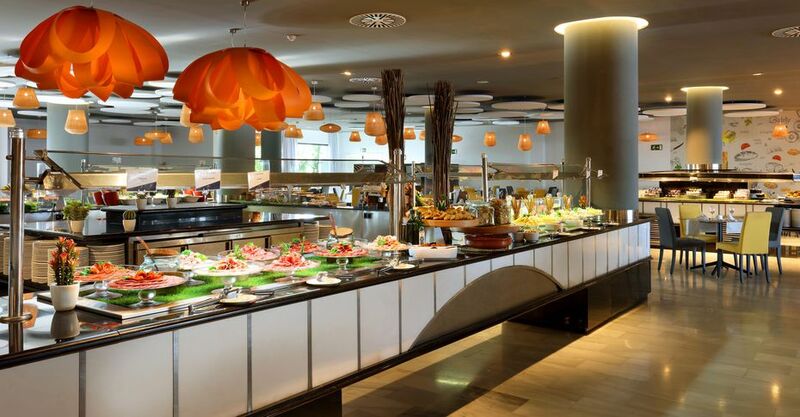 The five on-site eateries offer a selection of international and a la carte dishes to suit every palate. 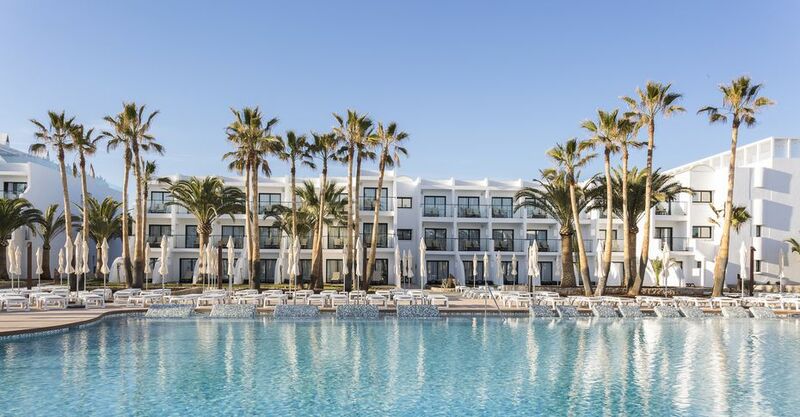 Alternatively, dine poolside with access to light bites from the two pool bars, as well as a vast array of fruity drinks, ice-cold beers, local wine, and soft drinks. After dark, dance music from the DJ and themed events keep the fun going until late. 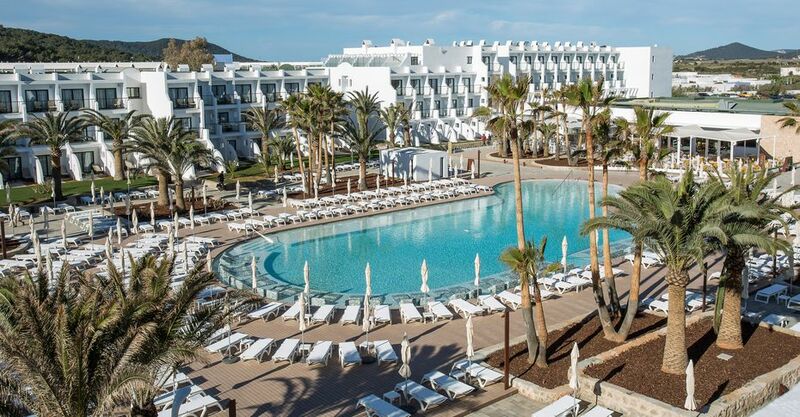 Discover why Grand Palladium White Island Resort & Spa is a popular place to stay for Ibiza holidays. Grand Palladium White Island Resort & Spa offers plentiful facilities, including: four outdoor swimming pools, umbrellas, Balinese-style beds, five restaurants, four bars, fitness centre, spa, Jacuzzi, sauna, miniclub, garden, wine tastings, culinary workshops, games, day and night entertainment, room service, laundry facilities, concierge service, and multilingual staff. 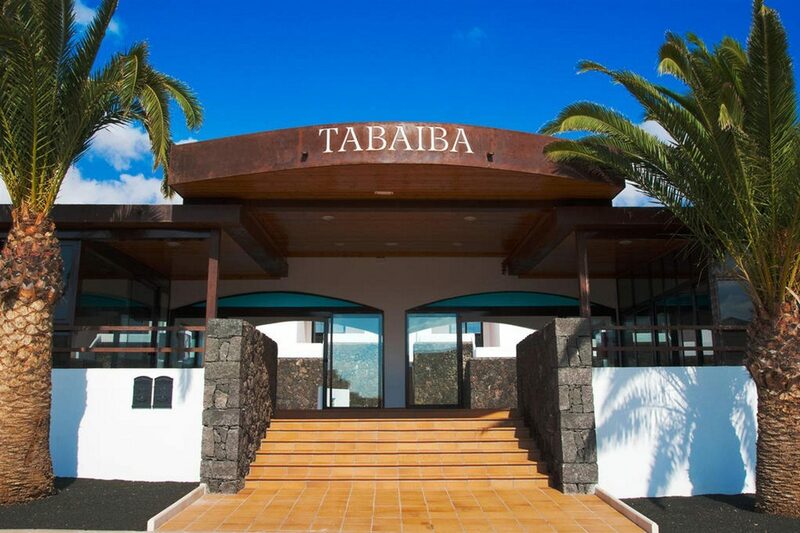 There are plenty of leisure activities to enjoy such as: beach volleyball, Pilates, yoga, aerobics, zumba, archery, tai chi, aquagym, and dance classes. There are also four tennis courts and a multisport football and basketball court. 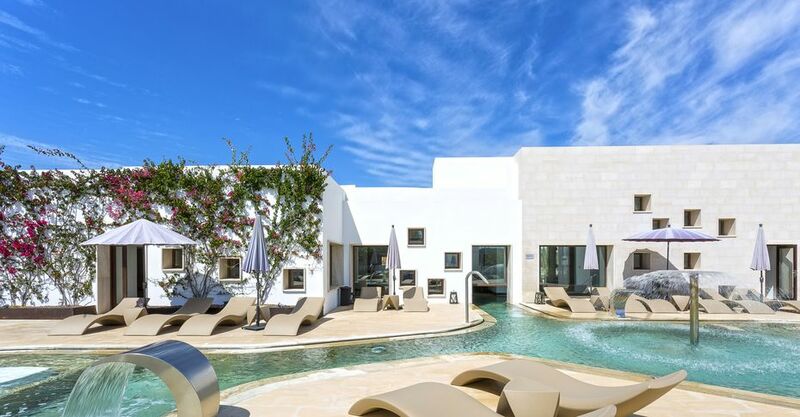 This modern Ibiza hotel resort has a total of 430 guest spaces, comprising Standard, Double, Deluxe Front Sea View, Deluxe Terrace, Higher, and Suite Rooms, and also Master Suites. 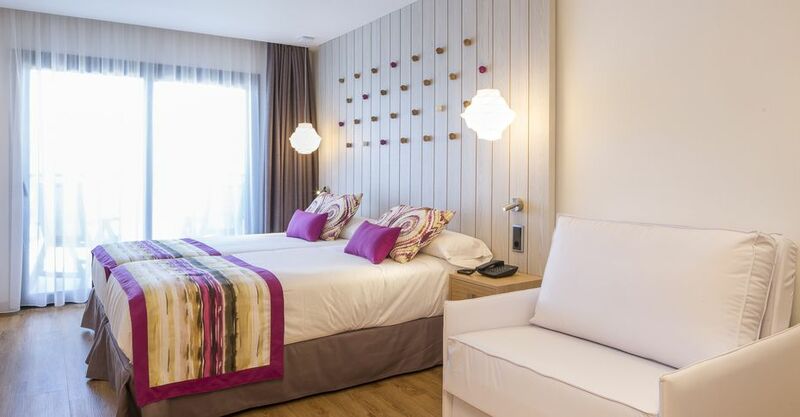 Standard Rooms feature air-conditioning, complimentary Wi-Fi access, satellite TV, telephone, safe, minibar, coffee/tea making facilities, iron and ironing board, hairdryer, toiletries, bathrobes and slippers, and room service. You'll never go hungry with the choice of on-site eateries. There are three fine dining restaurants serving up a range of international flavours, choose from Sa Prunera, La Sal, and Portofino. 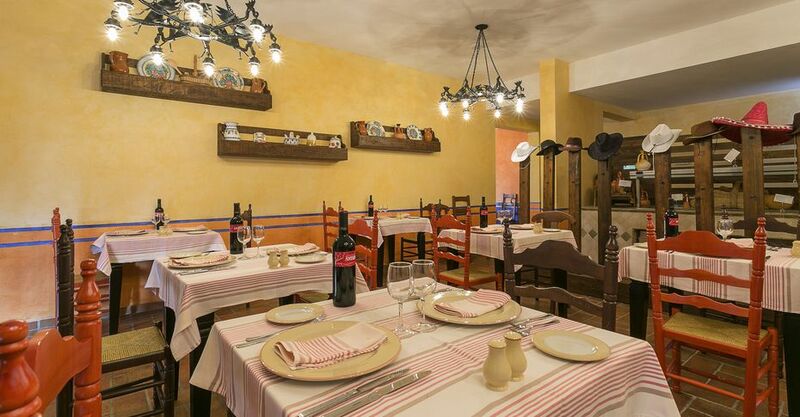 Delicious a la carte delicacies can also be enjoyed at the themed restaurants La Dona and Il Palazzo. 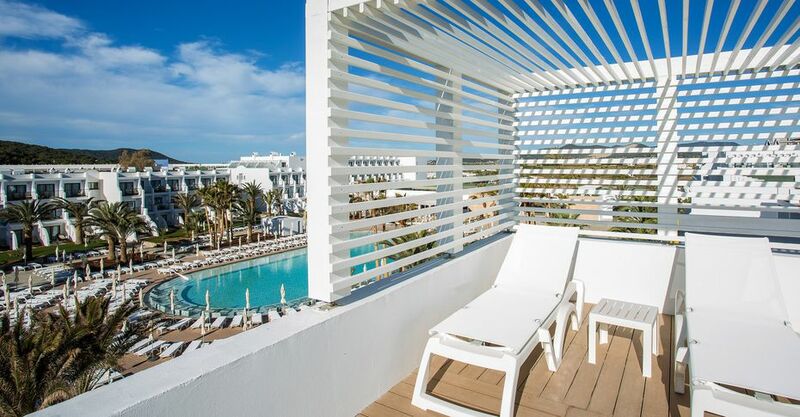 Grab a quick drink or light bite by the poolside at either Pool Bar White Island or Pool Bar Ibiza Palace. Settle for the evening in Lounge Bar to indulge in a fruity cocktail, ice-cold beer, or light snack. Soak up the exclusive feel of Lobby Bar; a cosy space to mingle with fellow guests over a glass of wine or two. After dark, dance the night away to disco tunes from the resident DJ or attend exciting themed parties such as Full Moon Parties, Boogie Nights, Michael Jackson Nights, and so much more.